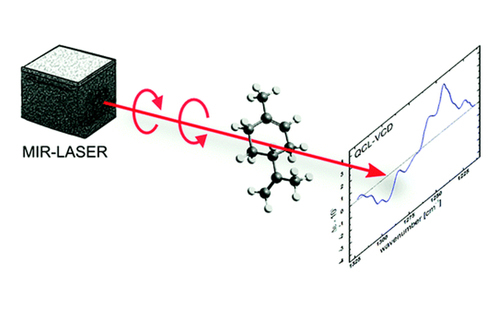 Luedeke, S., Pfeifer, M., Fischer, P.
Vibrational circular dichroism (VCD) spectra were recorded with a tunable external-cavity quantum-cascade laser (QCL). In comparison with standard thermal light sources in the IR, QCLs provide orders of magnitude more power and are therefore promising for VCD studies in strongly absorbing solvents. The brightness of this novel light source is demonstrated with VCD and IR absorption measurements of a number of compounds, including proline in water. Significant progress has been made in the fabrication of micron and sub-micron structures whose motion can be controlled in liquids under ambient conditions. The aim of many of these engineering endeavors is to be able to build and propel an artificial micro-structure that rivals the versatility of biological swimmers of similar size, e. g. motile bacterial cells. Applications for such artificial ``micro-bots'' are envisioned to range from microrheology to targeted drug delivery and microsurgery, and require full motion-control under ambient conditions. 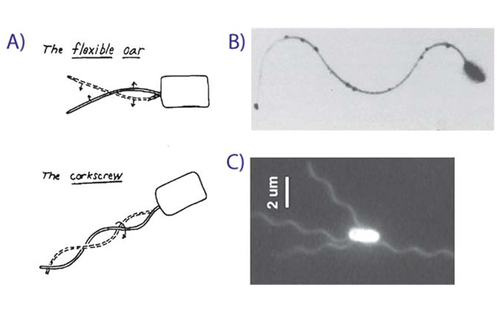 In this Mini-Review we discuss the construction, actuation, and operation of several devices that have recently been reported, especially systems that can be controlled by and propelled with homogenous magnetic fields. We describe the fabrication and associated experimental challenges and discuss potential applications. 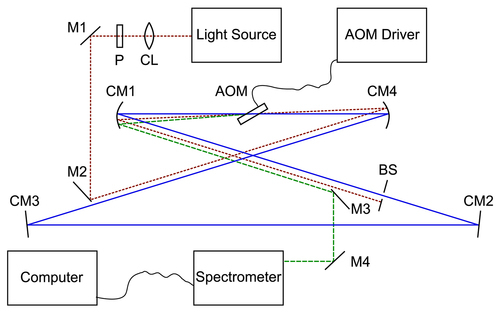 We present a new form of optical activity measurement based on a modified weak value amplification scheme. It has recently been shown experimentally that the left- and right-circular polarization components refract with slightly different angles of refraction at a chiral interface causing a linearly polarized light beam to split into two. By introducing a polarization modulation that does not give rise to a change in the optical rotation it is possible to differentiate between the two circular polarization components even after post-selection with a linear polarizer. 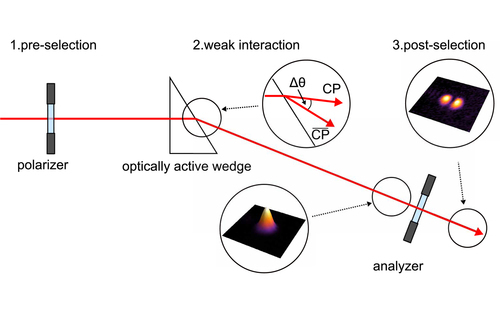 We show that such a modified weak value amplification measurement permits the sign of the splitting and thus the handedness of the optically active medium to be determined. Angular beam separations of Δθ ∼ 1 nanoradian, which corresponds to a circular birefringence of Δn ∼ 1 × 10−9, could be measured with a relative error of less than 1%. Peer, F. W. A. G.